Key West, Florida is on your 2019 Travel Bucket List, and now it’s time to start planning that vacation. Our blog today is dedicated to helping you find the answers to that burning question - How to Get to Key West? You do have options, and they include travel by air, land, and sea. All of them will provide you with a different experience, some will get you here sooner than later, but most important is you’ve decided to spend your vacation time with us in the Southernmost City, and we look forward to your arrival. The Key West International Airport is located on the southeast end of the island of Key West just minutes from Key West accommodations, attractions, and downtown Key West. It’s a small airport ready to greet you with a warm welcome to paradise! What’s new and what Airlines fly directly to Key West? You can now fly nonstop to Key West from Philly, Chicago, Newark or Dallas with American Airlines as they have recently announced some new flights for 2019. Nonstop seasonal service begins March 9, 2019, through August 31, 2019, and Delta also flies daily between Key West and Atlanta year-round. Visitors can also fly to Key West via connections or direct flights from a host of Florida cities. Stay up-to-date with the latest flight information including direct flights and connections to Key West International Airport. Driving through the Florida Keys on the Overseas Highway is something you should experience at least once in your life. 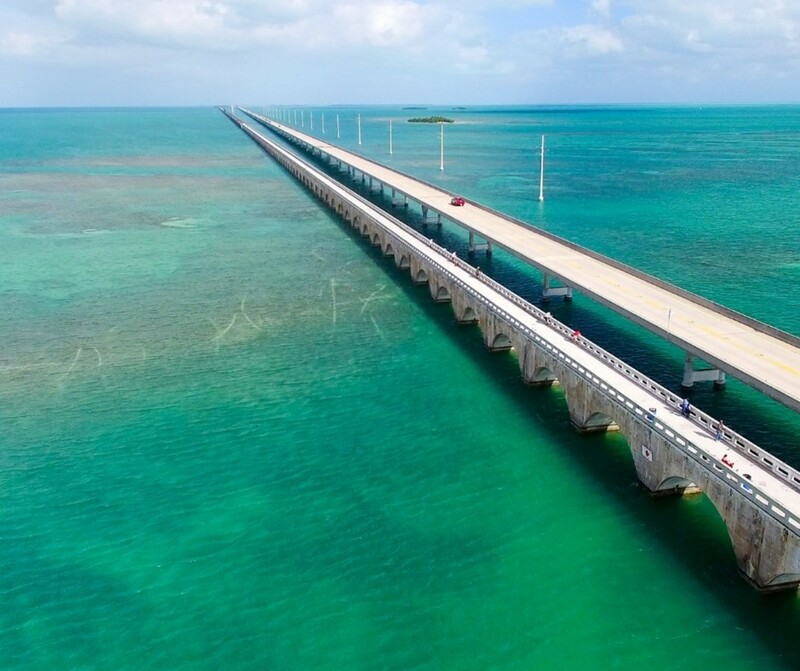 There is a 110 mile stretch from Miami to Key West where you’ll be crossing 42 bridges and a spectacular scenic drive you’ll cherish forever. A bit of friendly advice - don’t rush, enjoy the view and remember you are on vacation a/k/a island time. Wondering how long it takes to get from Miami to Key West? The drive would take you about 4 hours (on average), and that’s if you were to drive straight through without any traffic delays. The Florida Keys Overseas Highway, from north of Key Largo to Key West, has been designated an All-American Road. The Keys highway is the only All-American Road in Florida. It’s the highest recognition possible under the National Scenic Byways program established by the U.S. Congress in 1991. Only 30 other roadways in the nation have earned the prestigious title. Start the vacation experience when you climb aboard the Key West Express! Sailing daily from Fort Myers Beach and seasonally from Marco Island, this modern, air-conditioned, high-speed ferry will get you here in no time - well it will take a few hours but don’t worry, you’ll be entertained along the way. The ferry experience features sundecks, snack bar, cocktails, and big-screen TVs and more. How long is the ferry ride from Fort Myers to Key West? Departure from Fort Myers is 8:30 am, and departure from Key West is 5 pm, ticketing begins at 5 pm. Travel time from Fort Myers Beach to Key West is about 3 1/2 hours once underway. 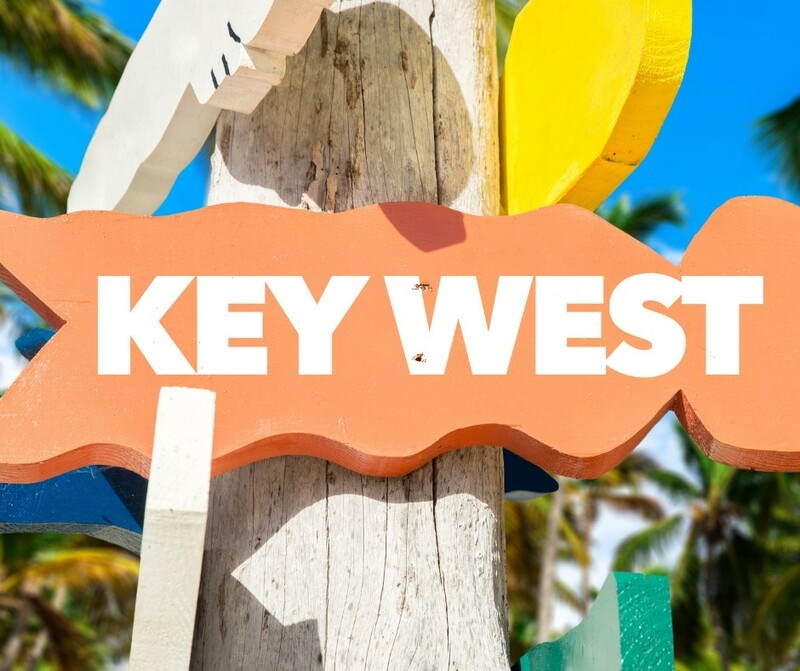 Learn more about Key West Express rates and availability. How to Get to Key West - A complete list of information and resources.